Q: I have been thinking about becoming a professional Tarot reader. What are the most important things to know when giving readings to others in exchange for money? A lot of people seek out a Tarot reading when they are in a time of transition and chaos, therefore they may be unusually sensitive and vulnerable. Many clients will feel nervous at the start of a reading. Every client is different – some will pour their heart out and want to tell you their life story and others will clam up, preferring very little interaction during the reading. When I first stepped into the role of becoming a Professional Tarot Reader, I immediately noticed how different it was from reading for friends. To begin with, I felt quite nervous reading for complete strangers. The fact that the person I was reading for was paying me money definitely made me feel pressured to “perform” and deliver a good reading. Since it is so important to be calm and grounded during a tarot reading, this was something I had to work on. You might want to set aside a bit of time before your readings to get calm and centered, particularly if you are feeling nervous. Listening to a meditation CD can be extremely helpful – here is a link to a free guided meditation that I made to help myself get calm and let go of anxiety. When you venture into becoming a professional Tarot reader, chances are you will have time limits for your readings. This can take a bit of getting used to. Make sure you practice doing a 20 min reading with a friend a few times before you start reading Tarot professionally. It’s okay to go a little overtime with a reading, such as ten minutes. But allowing a reading to go well over the agreed upon time range will make you seem unprofessional and unassertive. A few years ago I took a counseling course through my local college and this prepared me for being a professional Tarot reader in ways that I never imagined! So I would recommend that anyone interested in transitioning from hobby Tarot reader to professional Tarot reader take a counseling course or two. It is important that you get clear on what your reading ethics will be. Be clear on what you can and cannot do for a client in a reading. For example, if a client wants you to give detailed information about their ex-husband, will you feel comfortable with that or not? Or, if a desperate client returns for multiple readings in the same month, will you feel like you are taking advantage of her situation by reading for her repeatedly or will you feel okay doing this? It helps to have your reading ethics written down somewhere. I have posted my ethics here on my site so potential clients can review them. Ask yourself why you want to do readings professionally and get clear on what your intentions and goals are for your business. For example, maybe your intention is to uplift, inspire and empower your clients while providing accurate information that will help them on their life path. Write down your “Mission Statement” so you can refer back to it from time to time to remind yourself of why you are providing this service. You may also choose to display your mission statement on your website or any promotional materials, if you have them. To see an example of a mission statement, check out mine. 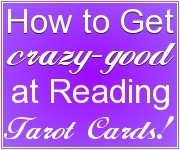 There are a couple books that cover these topics and provide lots of info about professional tarot reading. 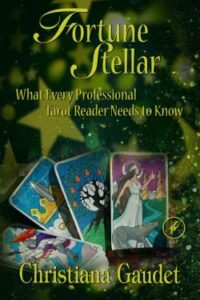 One is Professional Tarot: The Business of Reading, Consulting and Teaching by Christine Jette and the other is Fortune Stellar: What Every Professional Tarot Reader Needs to Know by Christiana Gaudet. I highly recommend both of these books if you want to explore this topic further. Most people seek out a Tarot reading because they want to feel better about their life situation. This doesn’t necessarily mean that everything you say in a reading should be 100% positive and uplifting, since you might receive information that is important, yet difficult for the client to hear. But you should always end the reading on a positive note so your client walks away feeling empowered and supported on their life path. I like to end my Tarot readings by having my client draw an oracle card from one of my positive oracle decks. 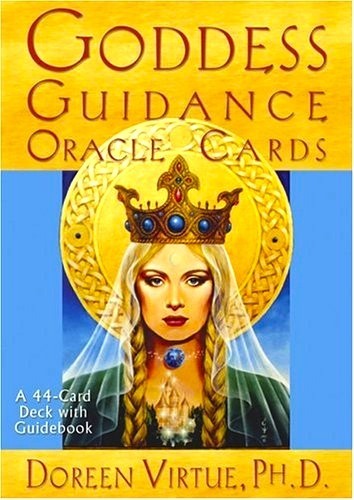 Any Doreen Virtue oracle deck works great for this, but I particularly love the Goddess Guidance Oracle Cards. This is so important especially if the reading was really deep and heavy. This allows me to bring the client an uplifting, lighthearted message that can tie the reading together and leave them feeling inspired. 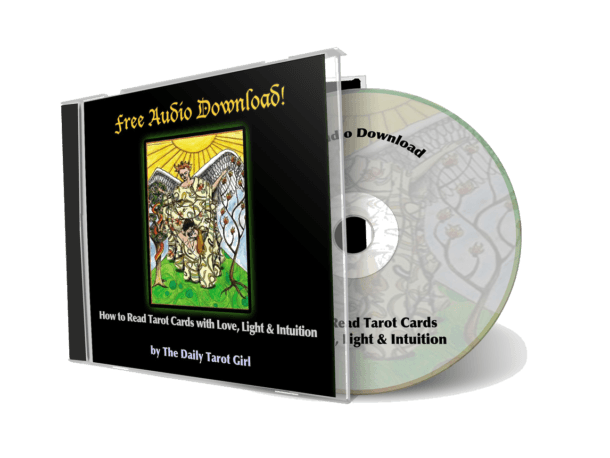 Good luck with your journey of becoming a professional Tarot reader – I hope you find it as enjoyable and rewarding as I do!!! 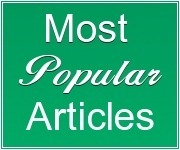 Hi, very interesting and helpful your article ! Congrats on taking the leap to professional readings! In my experience, paid advertising in magazines has not worked. I use word of mouth and my website/blog and youtube channel to promote myself. Social media is a more effective way to let people know about your services. Hope this helps! Agree with you, Word of mouth works, i practice Astrology past 20 years have ready for people around the Globe , everything is word of mouth . HI KATE I am ready soon to start my own you tube channel having worked since the 60s as a small child with the tea leaves,runes,tarot and more recently the oracle cards…TAROT ORACLE started my journey back.you Kate and John Ballantrae with a quick look at dusty’s 2 books thrown in …..It has been a tiring journey getting to know my old friends again but your videos have inspired me to continue and the fantastic amazing leslee and her giant rider waite cards love and light kate thanks for everything!! Thanks so much for your lovely comments Jackie 🙂 I’m so glad I could play a role in inspiring you to continue with Tarot! Great information thank you so much for putting this out, I was just wondering do you need a special license to do tarot reading in a storefront? Thanks Megan 🙂 I don’t think you do. Check with your local state or city laws, but I would think all you would need is a business license. Hey I was interested in becoming a reader but I was curious do I have to get some type of blessing from any sort ? No, you do not. There is also no certificate or license you need. This is both a good thing and a bad thing! 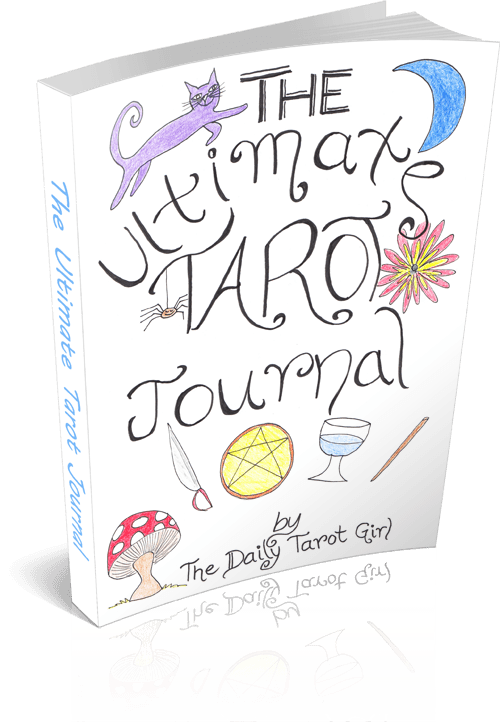 No, you don’t need any special ticket to read tarot professionally. Yet, there are various organizations that provide certification if that is what you want. the American Tarot Association has a certification program and I know that BiddyTarot.com also has a certificate course. Good luck to your wife! I was just wondering. I am fairly new to tarot, just a few years. I have a deck of tarot cards that I purchased at our local book store that came with cards and a book. Here is what I am wondering. I go online to youtube to explore videos about tarot, but most of the cards are not the same as the one I have. The images are different. I am wondering if that changes anything? Will the meanings be the same or somewhat different?? I really don’t want to buy another deck. I am happy with the one I have. Also..lol sorry for making this question longer. Can one use more than one deck? Or just stick to one? Yes, you can use as many decks as you like. I have about…..actually, I’ve lost count! Lots. If you stick to one deck you are less likely to get confused though, so it just depends on your personality. You really only need one deck. It’s totally okay that your deck is different from the one’s you’re seeing online. In fact, I did a video about this topic: https://daily-tarot-girl.com/2015/03/03/read-tarot-card-different-decks/ – I hope it helps you! Hello there, I have a destiny question, I have been reading my cards for myself since 1994, the year I had my 21 yr old, who inadvertently tore the cover and a few pages out of my book along with some scribbles when small. 🙂 I always told her that she had to have the book recovered when she grew up as I love the cards/book (held together with binder clips and covered in notes and her scribbles; she is a tattoo artist now graduating her apprenticeship this month). Here is the destiny thing, for my birthday she bought me the same boxed set (she never could follow instructions well) and tried selling it to me like, ” hey mom look the new book has more room for writing because the words are in bigger print and you can see them better since your old now- I know, she’s still kid- it was cute though), I am and have been disabled for 8 years, my body is too broken to work a real job, I was an exec. assist, and way to outdated now. I have always been the gifted counselor who helped everyone with their problems and never had anyone to help me with mine. (of course) as I had the nervous breakdown (excuse me now they call it a chemical imbalance) and mentally lost it from being supermom, super worker, body broken, caretaker of my ill mother and 2 bipolar kids back when they swore adolescents couldn’t get bipolar, of course now they (shrinks) have changed that tune and everyone has it; sorry I digress. My mind is better now, I’m off all meds,sucking up the pain, the last child is leaving this week and I only need to find a companion for mom to be free – if it is meant to be- doubt it- the list is bit more complicated but you get the gist. So, is this a sign that I should use the set I didn’t want to do readings for other to make a little extra and much needed cash? Or take the unopened set back to the store and get a leather cover and continue working on my mind, body and spirit. I am a dead leo and female, thus I have a tendency to take things on before I should, hence the question and background. Any assistance you could provide would sincerely be appreciated. May you be blessed in your corner of the world. Have been there done that. Started off as a person on my own doing a few readings locally. Was soon being asked to appear in newspapers and magazines and built up a team of a dozen or so helpers as I could not cope with all of the work myself. It is safer to work by email and phone. People think if they can come to see you it is ok to turn up with a few friends who assume they can have the run of your home and do as they please while there, an d it can be dangerous to let a handful of strangers in. They also have a tendency to think it is ok to cancel at short notice or turn up two hours later. With phone and email you are more in control, it is less time consuming, you can fit in more readings and you are safer. I used to get people turn up on the doorstep expecting me to stand there for half an hour giving them a free session, using the excuse they were just passing or it was only a quick chat. One little old lady thought if she turned up with a packet of biscuits paying for the biscuits she would eat while we were chatting meant she had paid. Dont even get into making them tea etc, it works against you. You would never get a moment to yourself or be left undisturbed unless you were very much in control. I had to have a special porch with a door announcer and a double door fitted. You cannot advertise in a cheap non professional way. You tell the tax man you are now professional and you pay for proper advertising. There are no short cuts to it. Making sure you do not give them more time than they pay for is essential as is not falling for the “let’s be friends ” routine a lot of them come out with when they want to find a way to chat to you for free next time. Thank yo for having such a wonderful web site! I have learned so much already, and greatly appreciate all the sound advice. I have a question about your advice on taking a councelling course. I thought in one of your videos you mentioned a specific kind of councelling, but I cannot remember which kind or which video I thought I saw it in. Am I remembering correctly? Was there a name for the specific type/focus/style of councelling you reccomended? Kate, your advice and experience is very enlightening. A (2003( book with information which is still good (some out of date links of course) about having a Tarot business is “Professional Tarot” by Christine Jette. It’s available from Amazon as a paperback. Christine had a psych degree as well as considerable experience with tarot and counselling. Oops, just realised that you listed the book already. Sorry – very late here. Thanks John – yes, I love that book, its a good one! Personally, I have never done any paid advertising for my business, but I found that having a youtube channel and making videos each week brought a lot of people to my site and many of my clients found me this way. So that would be my recommendation – start your own youtube channel (only if making videos appeals to you, though). Love all the tips, Kate! I found you on youtube not too long ago. Can I just say that the readings and information you provide here on the site is fabulous and so helpful! Thanks for all the tips about reading professionally. I’m certainly not ready to dive-in yet reading tarot cards professionally, but I’m exploring the idea of getting my feet wet, if that makes sense. Quick question (if you happen to read this)- do the books you reccomended go into things like how to check for laws regarding Tarot reading or general information on business licensing, etc.? I realize every area is different and not all resources can provide specific information, but everytime I come across something, it just says “check with your local authorities” and no one bothers to explain how to do that. So frustrating! lol (I did manage to email my state legisture on it, but I guess I still need to check with my county and city, and then figure out if the same considerations apply to reading online, sigh. It’s all very confusing.) Thanks again! I am so glad you are finding my site helpful 🙂 Thank you! As for business licensing, that would be different depending where you live. You may not even need to bother with a business license if you don’t have an physical location for your business (like if you are just reading at parties, fairs and over the phone). Will do. That article definitely helps. There’s a couple of really good links in there. Yeah, google and I are becoming fast buds on the topic, haha. I checked my city’s legal code, and there is a provision on fortune-telling. Still figuring it out and contacting the appropriate people. Just taking it one step at a time. This was really helpful! Thanks for sharing. Hi, I would like to read tarot professionally, I have been reading for about 7 years plus. I still use the books to check the meaning of the cards, but my actual readings are very accurate. 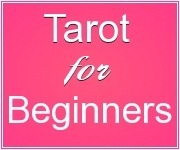 Do need to go on a tarot reading course to become professional? All really great advice for people who want to learn how to read professionally. I would also like to add information like Small Business for Dummies, Email and Online Marketing books, and things like SEO and Adwords. I’ve seen great readers not able to make a living, and terrible readers do ok and the business end and marketing really is the skeleton to support everything else. Jenna, that’s a really good point. Marketing is so important and often overlooked. Do you have any specific books that you would recommend? Ideally, you want to spend a minute or two getting grounded and centered and clearing your deck before you do a reading. But if I said I actually did this every time I read the cards, I would be lying! When I read for others I always do this beforehand, but when I read for myself I am often too impatient. 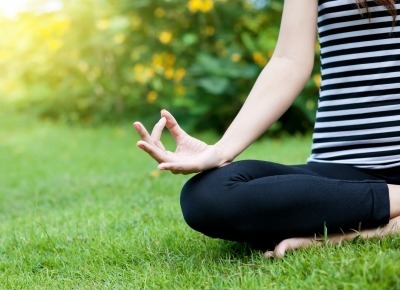 However, I have noticed that when I take the time to meditate for a few minutes beforehand and then clearly state my intention in doing the reading, I get clearer readings. I don’t have any specific set routine, though, I just meditate until I feel my mind is clear and calm. Try it and see if it changes the quality of your readings. I love your insight. Funny that i was just thinking that i would like to look into taking a counseling course.What kind of course did you take to get started? I would love to start looking into it. Thanks for all you do to help me understand what i see in the cards. I took a counseling course at my local university – it wasn’t actually a university level course, but a course designed for the average person to take – so it was quite cheap and there wasn’t any homework or tests or anything. I would imagine that most community colleges might have something similar. You might try asking your local counseling clinic if they know of anything like that in your area. After I did that course, I went on to be trained as a volunteer counselor at a local counseling center that provides pro-rated counseling services to people who cannot afford to pay the rates of professional counselors or who are not on a benefits plan that covers this. This training was more in-depth and experience-oriented. Hope that helps! 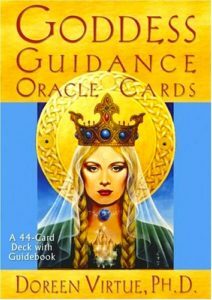 Best of luck with your Tarot studies! Thanks for this useful information! I immediately bought an e-version of the book written by Christiana Gaudet, just for $ 6,-. Although it is in English, and that is not my native language, I think I can learn a lot from this book. But of course I stay following you!!! That’s great, Greetje, you will love it. I still haven’t gotten into the whole e-book thing yet – I love hard copies – but it sure is cheaper!